With high targets expected in the EU Plastics Strategy, plastics converters are vital to driving recycling through creating a pull for material through the use of recycled content. Although, as in the rest of Europe, price is the main incentive for a plastics converter to use recycled plastics rather than virgin plastic, environmental image was also key in the UK. 75% of UK companies listed this as a main incentive to use recycled plastic, compared to 52% in the rest of Europe. It is also easier for UK converters to get recycled plastics to meet their customers’ specification, with more companies in Europe claiming it was difficult to source material of the quality they require. However, as in Europe, overall quality is the key reason that prevents converters from using recycled plastic (69%). ‘No stable supply’ was also cited as a key reason, which was more of an issue in the UK (56%) than in Europe (39%). Price, although a key incentive, is not a main reason preventing its use, with only 9% of respondents choosing this. The UK also scored higher than the rest of Europe for customers being aware of the benefits and need to use recycled plastic, with 38% either strongly agreeing or agreeing their customers are aware, compared to 27% in Europe overall. As with the rest of Europe, just over half of respondents said that regulations are not adapted to the reality of production and do not support the use of more recycled material in the future. Despite this, in the UK, 69% of companies plan to continue to use recycled plastic and increase its use and another 22% will continue with their current level of use. In both cases this is higher than the rest of Europe. “What is clear from this report is that there is a keen desire for plastics processors to use more recyclate. 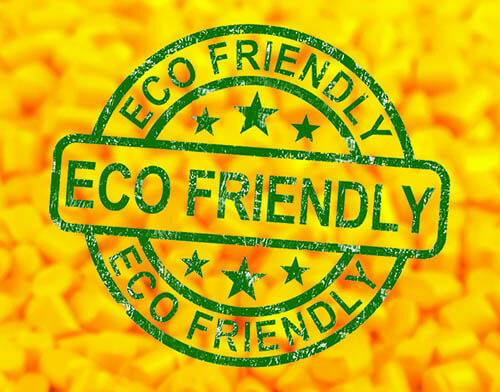 It is reassuring that there is clear evidence that the end customer, here in the UK, is acutely aware of the environmental benefits of buying products that contain recycled material and that producers see this as a benefit. “The issue is one of stable supply and this is something that needs to be addressed. With over 300 different waste collection schemes in the UK, there is no surprise that there is widespread confusion about what can be collected and huge disparities in recycling rates in different boroughs across the country. Quality is central to an efficient and viable domestic recycling industry and the simplification of collection schemes will ultimately lead to more material being recycled and help to solve the issue of supply. The survey shows there are opportunities to develop the use of recycled material and an appetite to do this for financial and environmental reasons. Focusing on quality material is the key to encouraging further use of recycled material as well as a steady supply. Related Post Plastic Sheet Producers: Are You Missing a Trick?